Anika do every thing for saving Priyank's life. 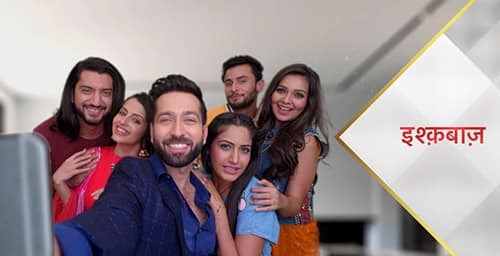 This episode Ishqbaaz starts with Rudhra, Rudhr comes and Shivay asks him that where is Daksh, Rudhr says, Daksh is not in his room, ” I think” he is run away, suddenly Priyanka tells ” what do you mean” Daksh is run away, Daksh can’t do like that, how can Daksh run away without marriage, Shivaye said to Priyanka “you take rest”I am here. Priyanka said I will not go anywhere without Daksh. Priyanka said to Shivaye that ” Bhaiya please go and find him, Priyanka loses her sense for some time. Priyanka said, it is a jock, if its a jock so, “please” Dakash came outside. It’s a bloody cheap jock, please Daksh came outside. Shivay asks Tia, where is Daksh? Tia said to Shivaye that I don’t know where is he. She said I don’t have any idea, where is Daksh “again”, Priyanka said to Shivaya that bhaiya please find out Daksh. Shivaye said to Priyanka, “you don’t worry”, I will find him. Shivaorderederd Khanna, Khanna stick out the car but suddenly media came and put up the questions in front of Shivaye against Priyanaka and Daksh relationship, Anika said ” Sorry Shivaye”, I tried my best for saving your family reputations but I couldn’t, I will pray to god that God gives them blessing for fighting with this critical situation. suddenly media again put up the questions in front of Shivaye. Shivaye said to everyone” this is my own matter” So please don’t interrupt. Shivaye announced I will go and find him, this wedding is not broken. Shivaye called Khanna and ordered him that now everyone is out of our house. Om asks for shivaye, where are you going? Shivaye said to him that I am going for finding him and also says to Om, “You go”. But suddenly Shivaye shocked to saw Anika that ” Shanno is Anika”, and Anika runs away. Shivaye decided I will not let you go alive. Suddenly Priyanka comes and said to Om and Shivaye that will go and find him and “Priyanka run away. Shivaye goes behind Priyanka. Anika come at her house and it comes, Sahil’s mom taunts Anika, Gauri comes and tells Sahil’s mom that please could you stop it, Gauri asks Anika that “what happened” di, We all are worried about you. Again Sahil’s mom taunting her, Anika said to Sahil’s mom that you please stop it, Anika said to Sahil’s mother that you crossed your boundaries and Sahil’s mom says you already done it. Anika said to Sahil’s mom that you don’t need to worried for me, I will talk with Nikhil, Suddenly Nikhil was come and asks Anika that ” what will you tell me”, Sahil is also blamed, Anika. “while driving Priyanka”, Priyanka is calling to Daksh but Daksh is not responding. Shivaye is also called Priyanka but he doesn’t get any response in sites of Priyanka. All family members are worried just because ” Priyanka and Shivaye” they both are not response Om’s calls. Om said to Dadi Ji that you don’t worry everything will be fine. Tia goes into a basement and sees there that Payal and Anika is not there., Tia said that Daksh is insane, he spoiled my plan. Priyanka stops her car, and run behind the Daksh, and Shivaye is also running behind Priyanka and Daksh. Anika was guilty and also tells him that what happened Yesterday it should not be, yesterday situation was very critical that’s why I will have to go to Oberoi’s mention but Nikhil is not listened to Anika, that what Anika is saying to Nikhhil. Nikhil said to Anika that “I am right”, Yesterday I had gone in Oberoi’s mention but Shivaye had told me that you are not there. Anika is said to Nikhil that Shivaye is also don’t know that I was there. Nikhil was so angry and shout at on Anika that could you please shut up. Nikhil doesn’t believe in Anika. Anika tries to convince him that nothing like that, but he doesn’t believe. Anika said to Nikhil that you are right to a large extent and “I accepted ” that I was wrong but please believe on me. Anika said to him that I was thinking that I will come before “Shagun” but it didn’t happen. Sahil’s mom taunts Anika and also said that Nikhil’s parents will not be accepting you anytime. Priyanka runs behind Daksh and suddenly Priyanka got injured, Shivaye was got shocked to see it. Shivaye got panic to see it, Shivaye rushed her to hospital and Anika convince to Nikhil please give me one chance to make me right. Nikhil says “yes” but he has a condition for Anika that you will never ever talk to Shivaye. Shivaye reached to the hospital and says to a doctor that please save my sister. Anika accepts Nikhil’s condition. Shivaye thinks himself that if because of my sister marriage is broken so I will not let you go alive. Anika says that Priyanka will be in quite a pain Priyanka got well soon. and her life has a lot of happiness. Anika said that I had done what I had to do now I have to pay attention to my future. Shivaye said that whatever you did, neither can I forget or you will never forget, Shivaye decided I will take revenge from you. Next day. Om and Rudhr worries about Priyanka and Shivaye said to Dadi Ji, I defeated. Nikhil breaks his marriage and goes away. Anika says to Shivaye that what I have done, Shivaye says comes and I show you what you have done. Shivaye takes her on his shoulder. Next articleYeh hai mohabbatein written episode of 27 july 2018: Pihu welcome Roshni and baby.